I was going to wait to share this recipe with you until later in the week. Apparently, however, trying to edit a blog post while watching an exciting movie can result in hitting the “post” button instead of “preview”. The result? A rather cryptic post being emailed to all my loyal followers. 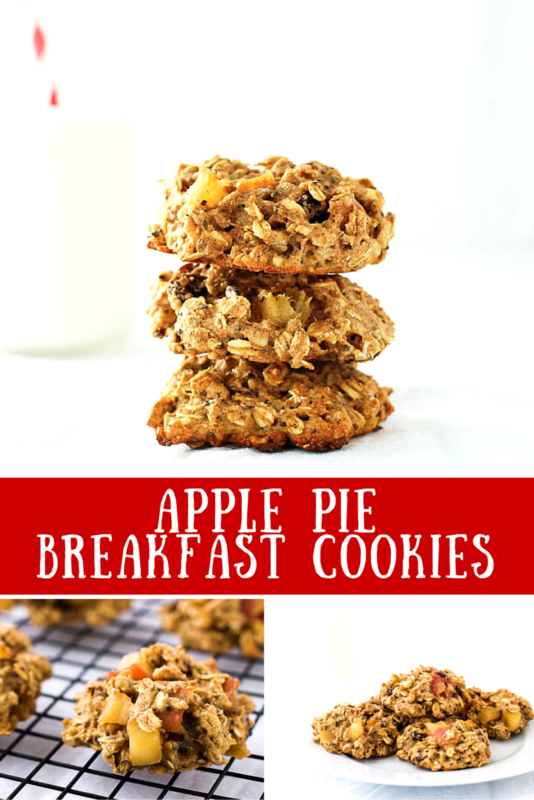 So rather than tease you with photos of these delicious apple pie breakfast cookies without a recipe, I decided to go ahead and finish the post today instead. Every now and then my children get a little tired of all the usual breakfast options. 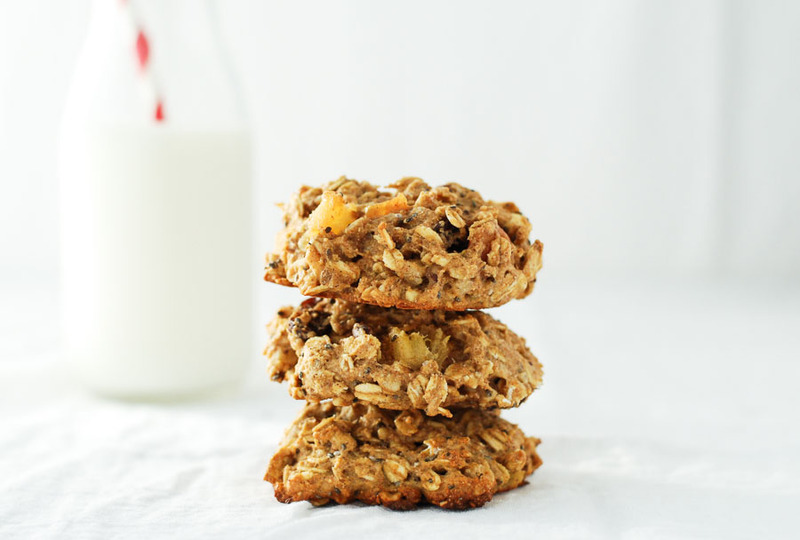 So that is when I have to pull out the big guns… breakfast cookies. They look like cookies, smell like cookies, and taste like cookies, but they have less sugar and more wholesome breakfast-like ingredients. 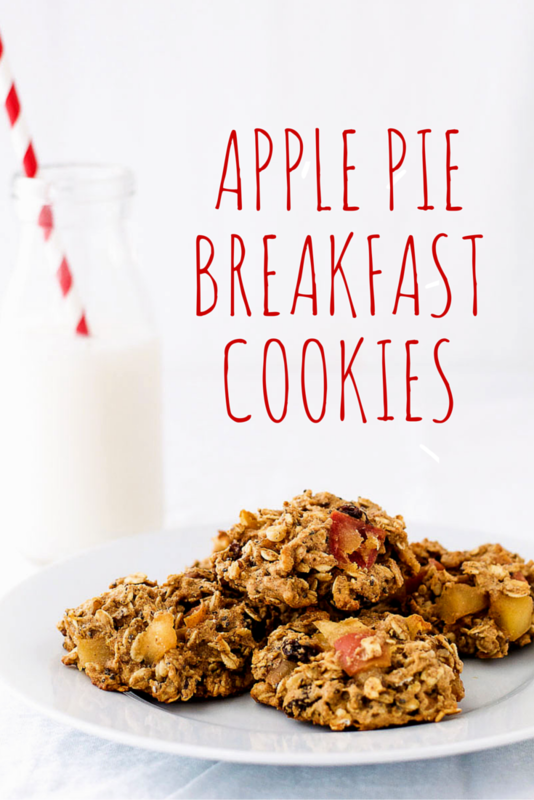 These apple pie breakfast cookies are no exception. 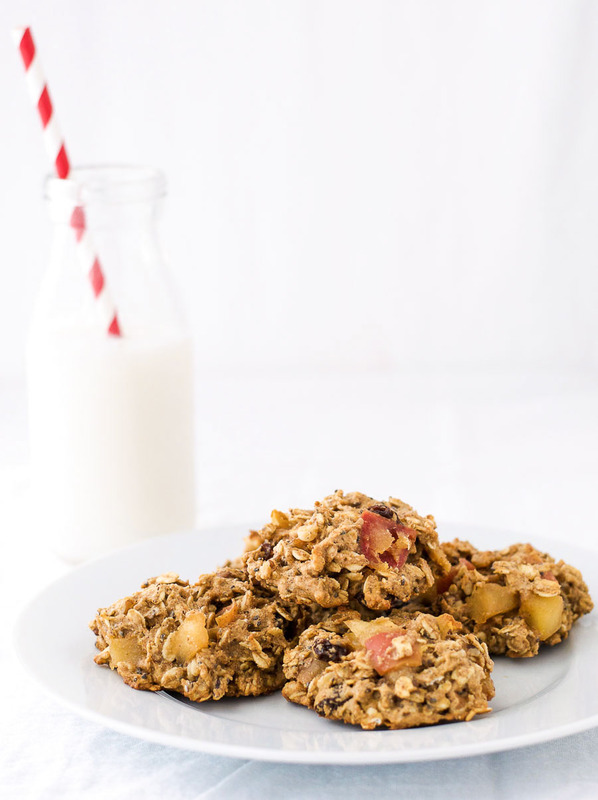 They contain plenty of fiber from the whole grain flour, oats, and chia seeds, a good dose of healthy fat from the walnuts, and lots of vitamins and minerals from the apples and raisins. These breakfast cookies are easy to make, and even easier to grab as you rush out the door to school or work. And they are so tasty that I caught my 2-year old sneaking a second one when I turned my back. 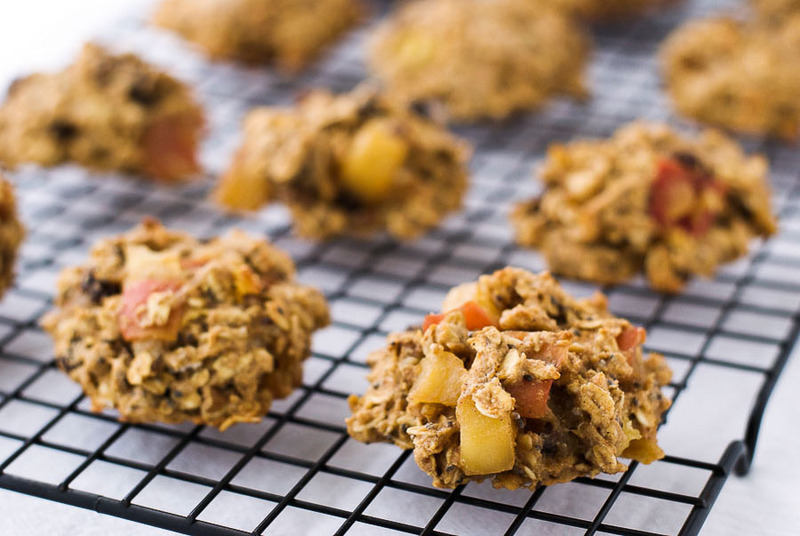 Healthy whole grain breakfast cookies with apples, cinnamon, raisins, and walnuts. Put the apple and brown sugar in a pan over a medium low heat. Cover and cook until soft, about 5 minutes, stirring occasionally. In a medium bowl, combine the flour, baking powder, cinnamon, chia seeds, and salt. In a large bowl whisk together the maple syrup, apple sauce, butter, egg, and vanilla. Add the oats, raisins, walnuts, and cooked apples and mix until well combined. Thank you Evi. And you could substitute coconut oil for the butter and flax egg for the egg to make them vegan.